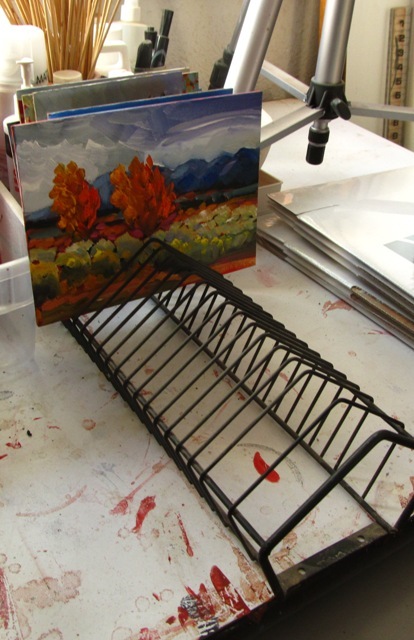 My new little EASY L easel. I love the size on this one - and it weighs practically nothing. I haven't used it out in the field yet, because it's been so hot, but I think I feel cooler air coming on, I'm hoping anyway. There are some great paint outs coming up including a multi-day paint out up at Ghost Ranch in Abiquiu. I'm alreading picturing the back of my car filled with art supplies. See how clean and pretty it is? Just wait! This is the view I have from my painting tables every day. That's the door that goes into my living room and kitchen. 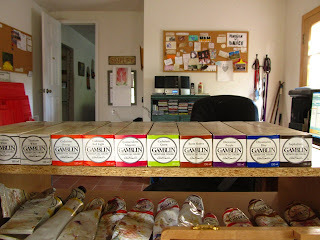 The nice full boxes of paints are extras just waiting to replace my used-up tubes when they're done. You can see the open ones underneath the little shelf. Okay, I'm doing a group show at Weems Uptown that opens September 4. 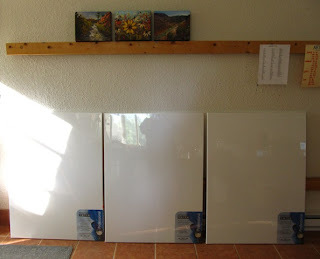 I have 10 30x40 canvases that I will be painting - and framing. First time framing large oil paintings for me. I need to know what I should paint on these beautiful blank surfaces! I want a cohesive show but also a range of subjects that would make a nice group showing together. Not enough thoughts in my head yet. If you have suggestions, send them to me! This is my drying rack for my little daily paintings. It's an old record rack for holding 45 records. I wanted to find a double one but haven't run across one yet. 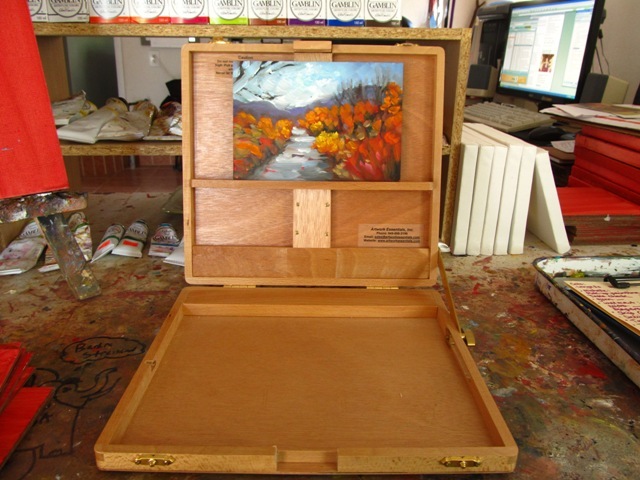 This is nice because it separates the paintings and keeps the paint from smearing but it doesn't take up a lot of space. Well, it's time to work now. I have a little painting to finish, some commissions, and lots of prep work to do. 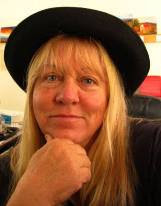 Dee, Hi, I am Louise Mack, I lived in ABQ for ten years and come back every year. I am staying at a casita on Tiguex Park this year for the month of September. I will be at the Weems show, hopefully if I arrive on time. Oh...my good friend Sonja P. suggested I look up your work. She was right, you are so in touch with the light, the air, the feel of NM. Nice to see you studio Dee! 10 ptgs 30 x 40 framed for Sept 4...all I can suggest is get a cook and someone to do your cleaning and housework for this time! Have a ball in the studio undisturbed. Thanks guys, and Dolly, do come to the show! Sunflowers are definitely on my list. As is a cook.